The nascent marijuana industry is displaying alarming similarities to the dot.com bubble, according to an experienced trader. Recreational cannabis was legalized in Canada yesterday as years of hype became reality. The preceding months had featured rapid stock surges – and falls – from many Canadian LPs. 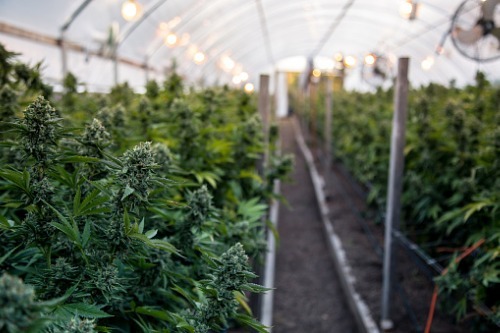 The likes of Canopy established itself as a market leader thanks, in part, to a deal with Constellation Brand and, of course, there was the Tilray thrill ride, peaking at about US$300 before retreating spectacular. John Christofilos, senior vice president and chief trading officer at AGF Investments, is in no doubt the space will develop into a real industry but said many of the companies involved now will not see the story through. Having lived through the dot.com turmoil and watched people lose millions, he told investors to diversify, stressing the buyer beware investing principle. He said: “I was around in 1999/2000 and traded the market quite extensively back then, and the resemblances are striking to me in that the discussion outside the market place, outside the community we deal with, is as lively today about cannabis as it was about dot.com. Christofilos said that, back in 1999-2000, for every Google there was a Pets.com, companies that were only around to raise money and expectations but ultimately never amounted to anything. He admitted the current frenzy alarms him, as does the fact that, according to research, 80-90% of the money in these companies is from retail investors. The mixed performance of the stocks yesterday – day one of this new, legal era – did not come as a surprise to Christofilos. “There is an old adage in trading called buy on rumour and sell on news,” he said, adding that yesterday was the news. “All the hype leading to October 17 has occurred and we may get a pullback or a non-event even though we have gone live. Companies are not going to explode on the upside just because the revenues go live – it’s going to be a slow build over time. With the turmoil of the dot.com aftermath still fresh in his mind, Christofilos said diversification remains an investor’s best friend. He warned that failure to do this is inviting trouble – and the prospect of losing a lot of money. He said: “Think about the buyer of Tilray at $300, that one particular day when things went absolutely crazy. The market cap at Tilray was larger than Molson Coors, which has $10 billion in revenue relative to Tilray’s $50 million. Pot’s big day but are real opportunities in US?